Lucy Dhegrae is a passionate advocate of new music, with a flexible technique that fits a variety of styles. She is a core member of the new music ensemble Contemporaneous, and has performed with Nouveau Classical Project, Talea Ensemble, Bearded Ladies Cabaret, and Le Train Bleu, among others. In New York, she has perfomed at venues including (le) poisson rouge, Roulette, and Issue Project Room. Dhegrae has sung more than thirty world premieres and has worked closely with such composers as Anthony Braxton, Unsuk Chin, Jason Eckardt, Susan Botti, and Shawn Jaeger. She has premiered several operas, includingTrillium J by Braxton, Bodiless by Gabrielle Herbst, and Andy: A Popera by Heath Allen (a collaboration with Opera Philadelphia and Bearded Ladies Cabaret). 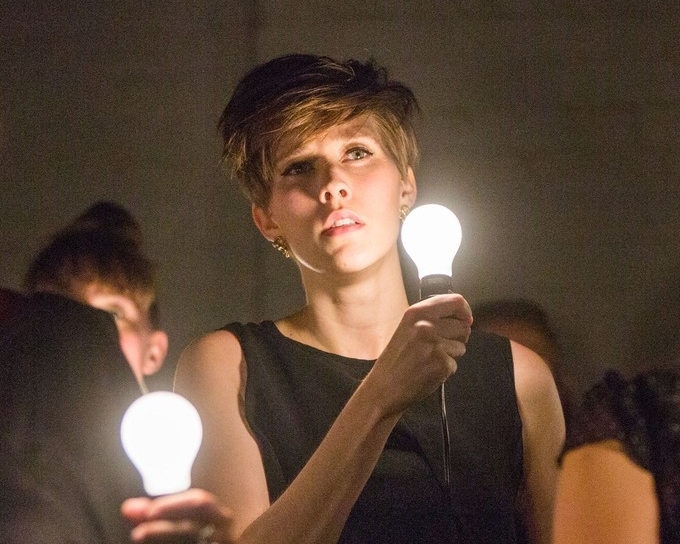 Dhegrae is the executive director of Contemporaneous, and is the director of the Resonant Bodies Festival, an annual festival of new and experimental vocal music, which she founded in 2013. She is on the faculty at Bard College Conservatory's Preparatory Division, and also at Third Street Music School. She lives with her husband, composer Shawn Jaeger, in New York. Dhegrae is a graduate of the University of Michigan School of Music, Theatre, and Dance (BM) and the Bard College Conservatory Graduate Vocal Arts Program (MM) where she studied with Dawn Upshaw. For more information, visit lucydhegrae.com.